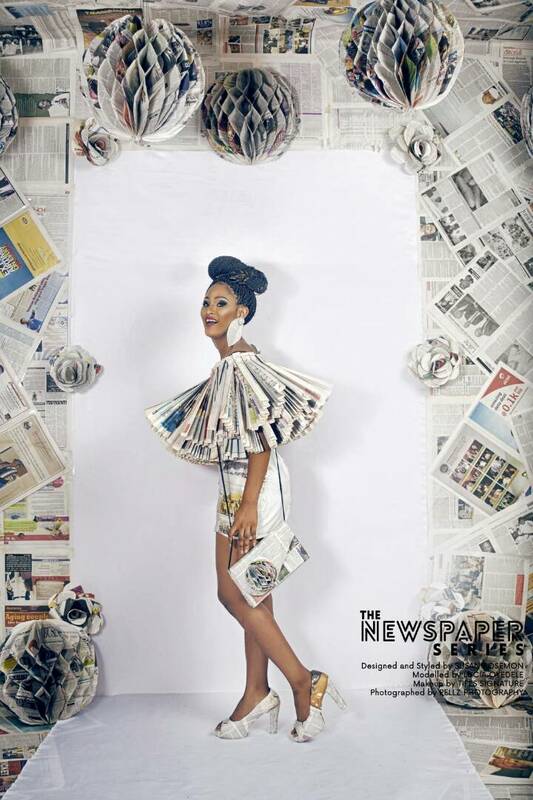 Fast-rising fashion brand Susan Rosemon recently released an out-of-the-box collection inspired by Newspapers. 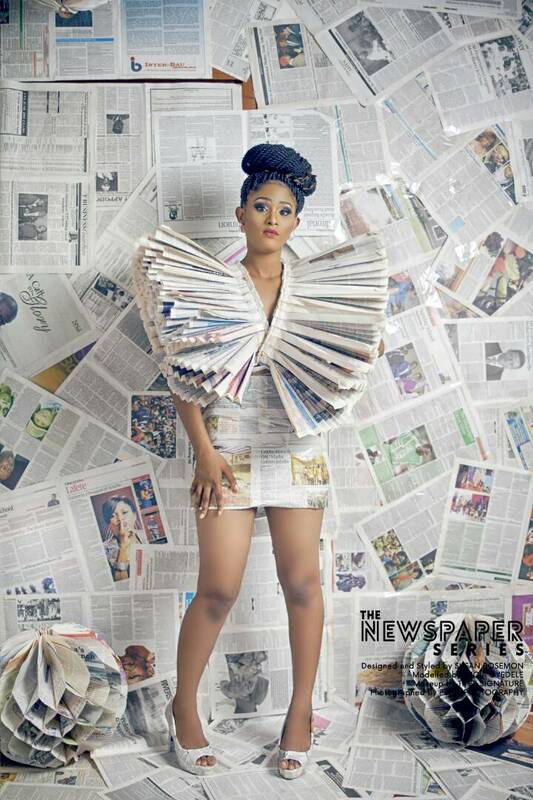 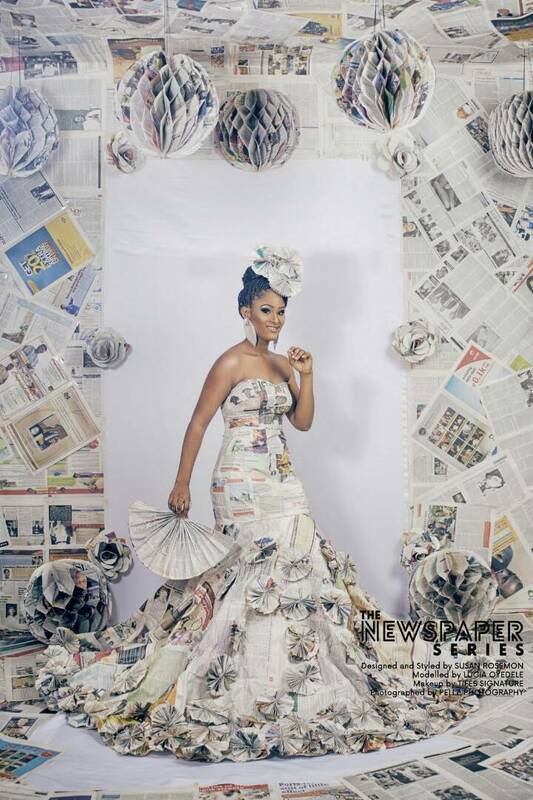 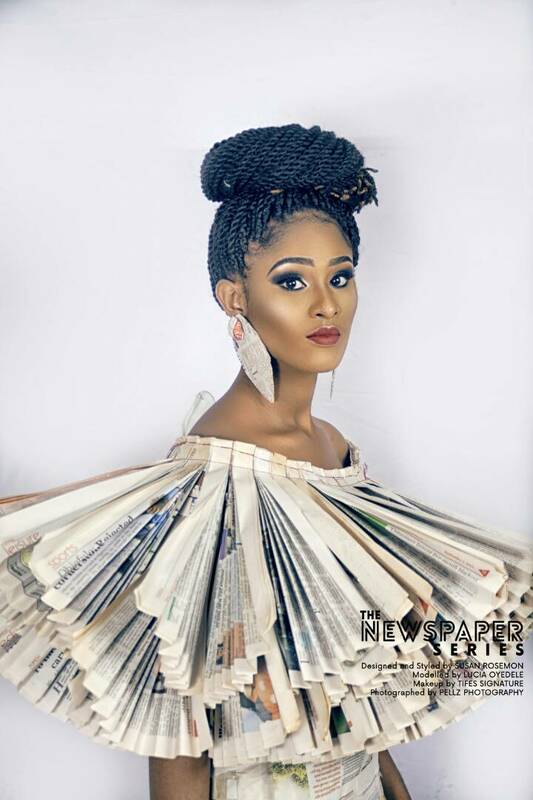 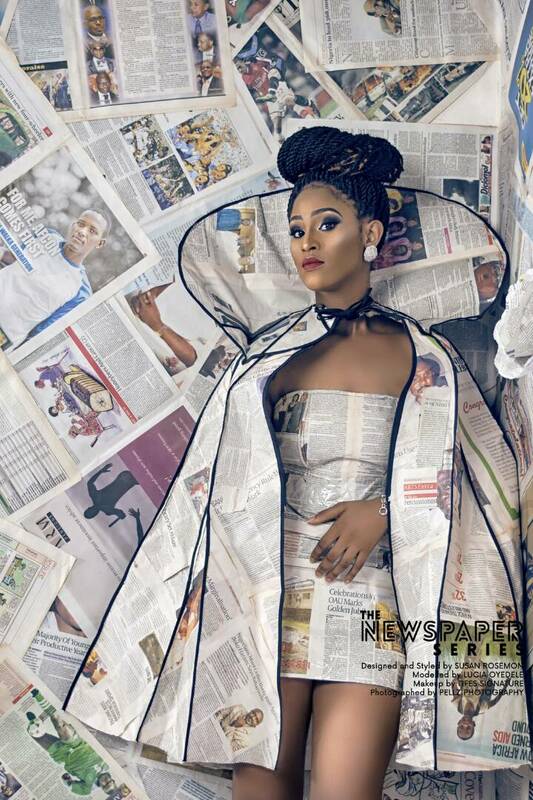 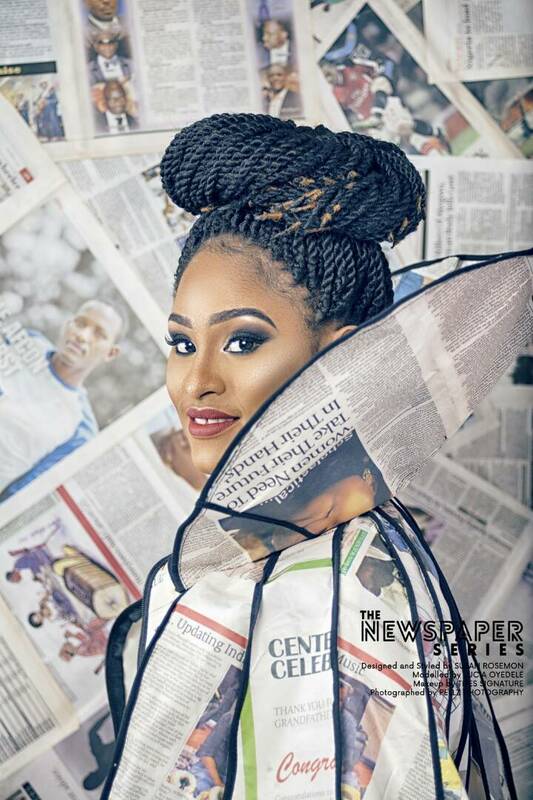 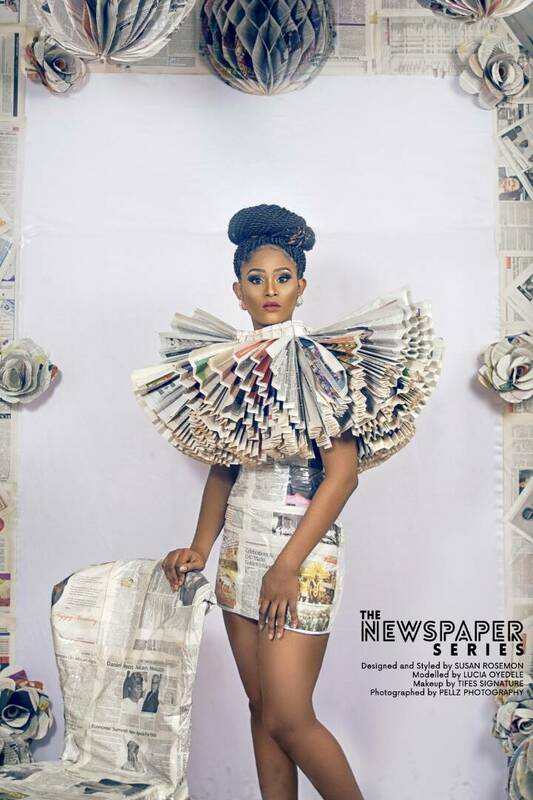 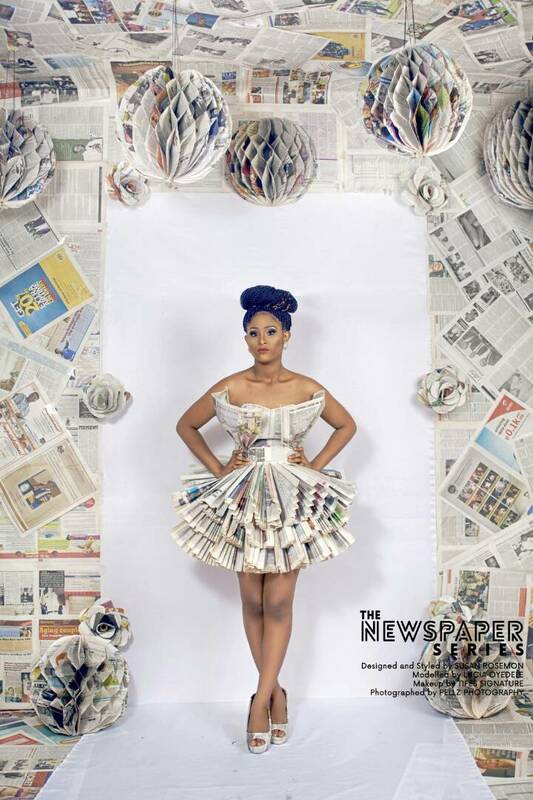 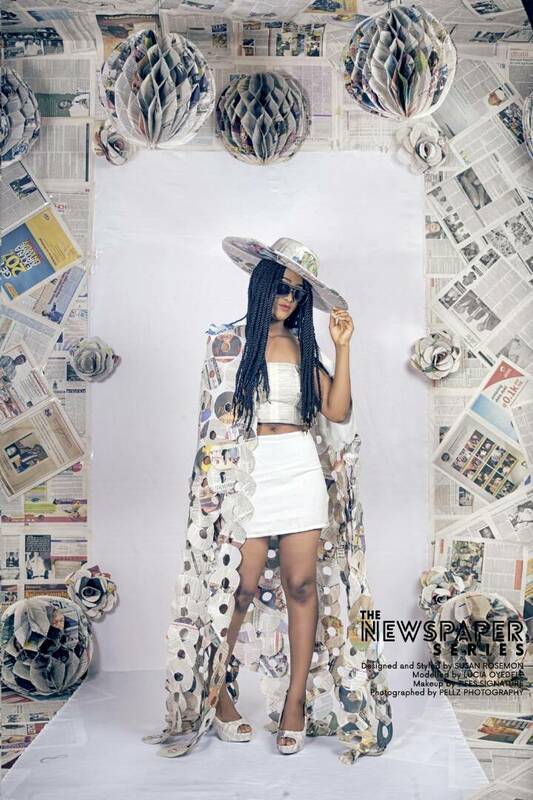 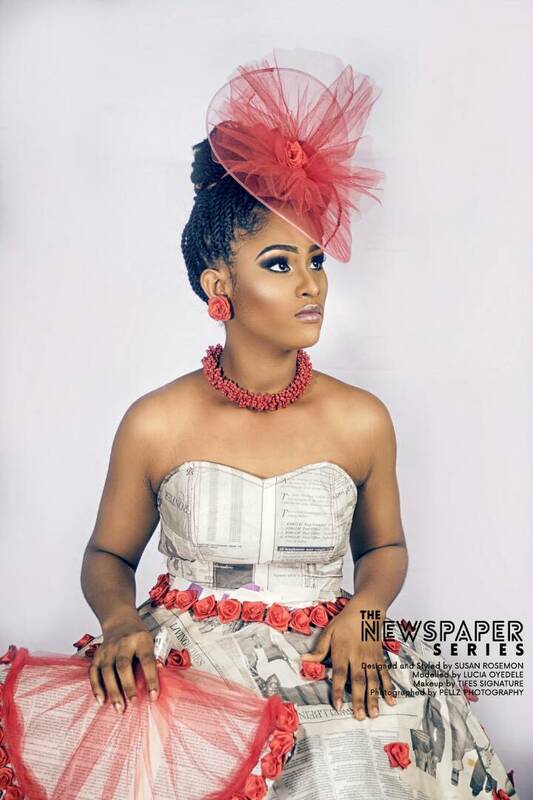 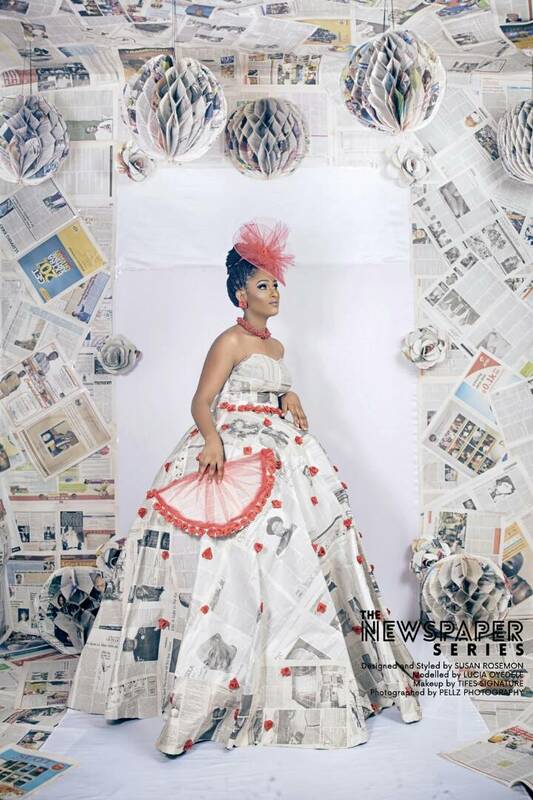 Featuring ball dresses, midi dresses, jackets, hats and even shoes made with newspapers clippings this Newspaper Series Collection is definitely for daring fashionistas who love to make bold statements with their outfits. 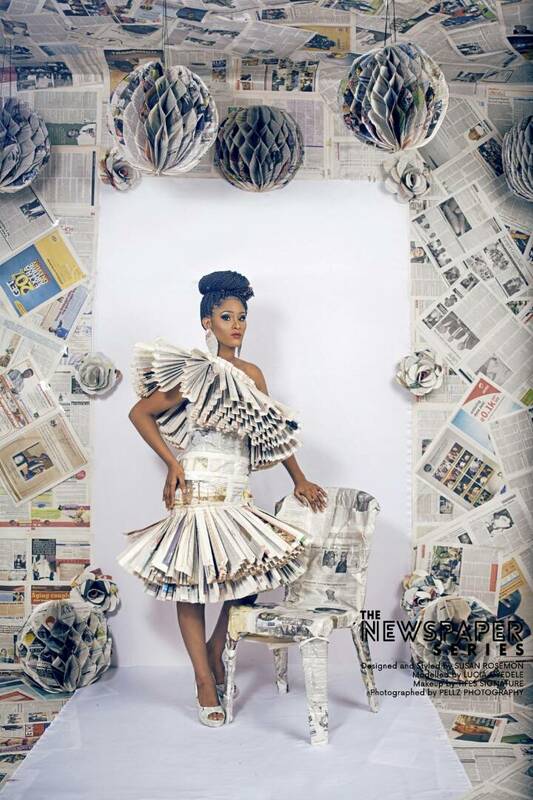 It is also a fun way to recycle old newspapers. 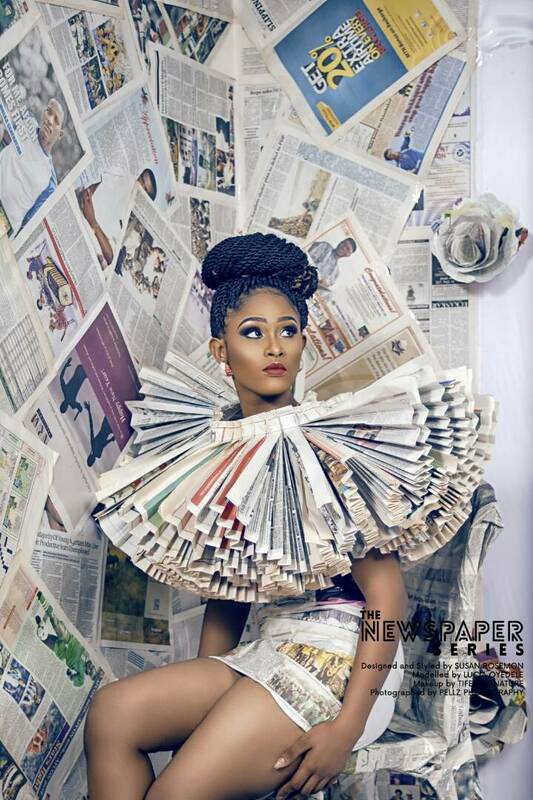 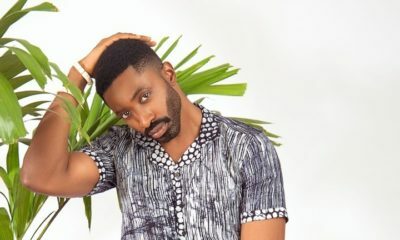 The designer who loves playing around with different materials from paper and plastic, to glass and beads stuck with a similar pattern of newspapers, keeping the collection organized and visually appealing. 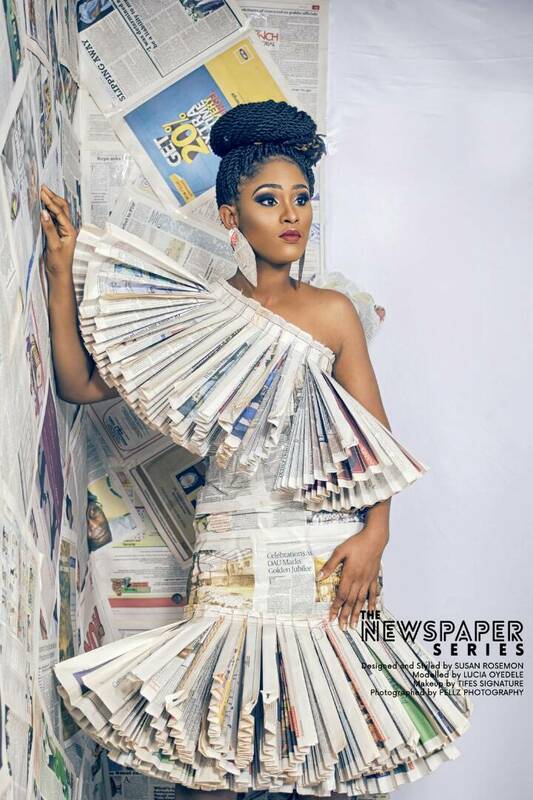 You’re going places Susan girl. Keep up the good work. 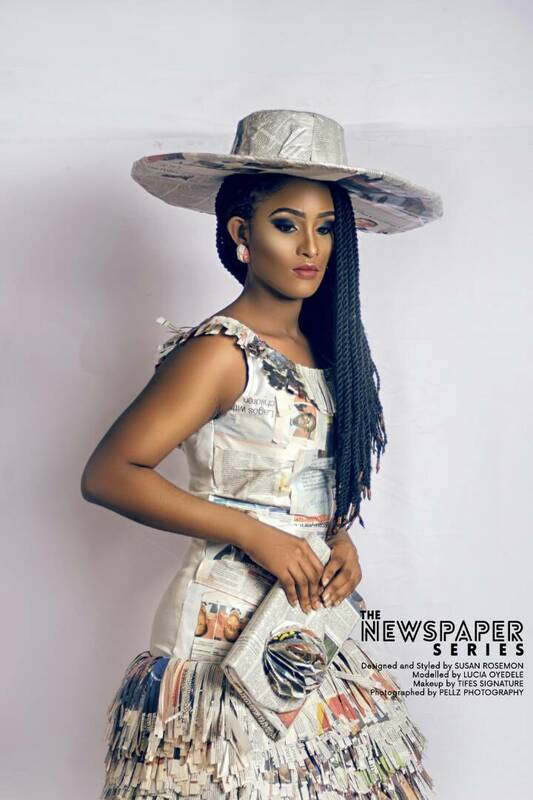 Person fit wear this when rain dey fall ?